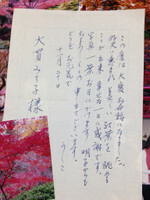 I received a beautiful handwritten letter with some beautiful picture from an elegant and beautiful lady in her eighties. 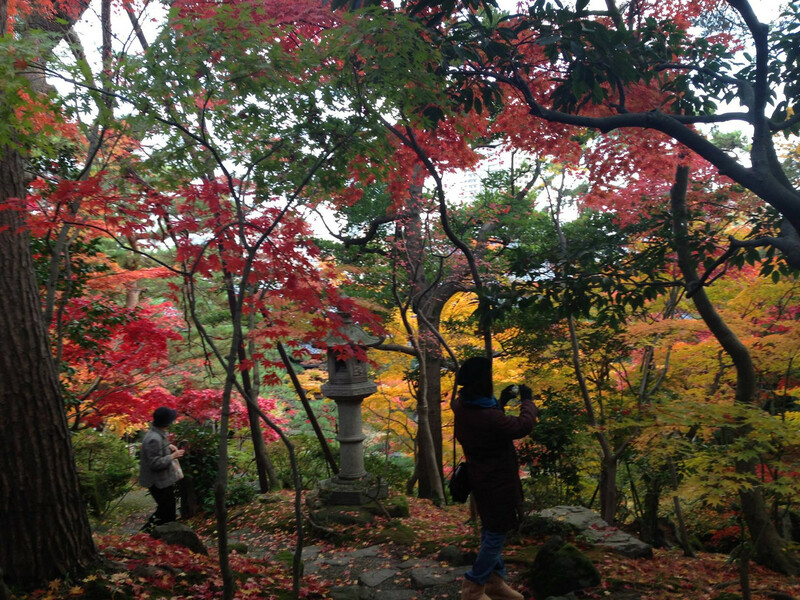 While walking in Yahiko Park, she was taking quite a lot of photos with her traditional camera ( while I was taking as many pictures with my iPhone , all of which are kept in the computer and would never be printed out). 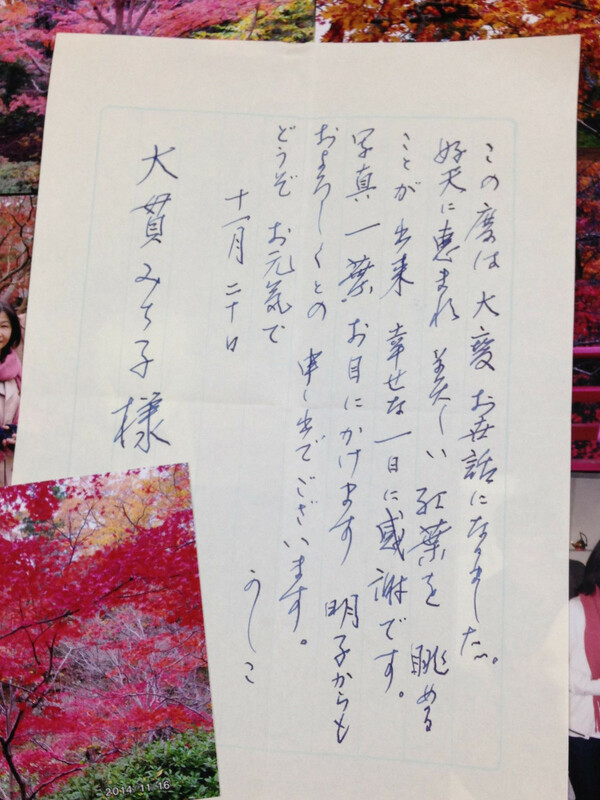 Now that letters have been replaced with e-mails, it's so precious to get such a nice beautiful and artistic letter. 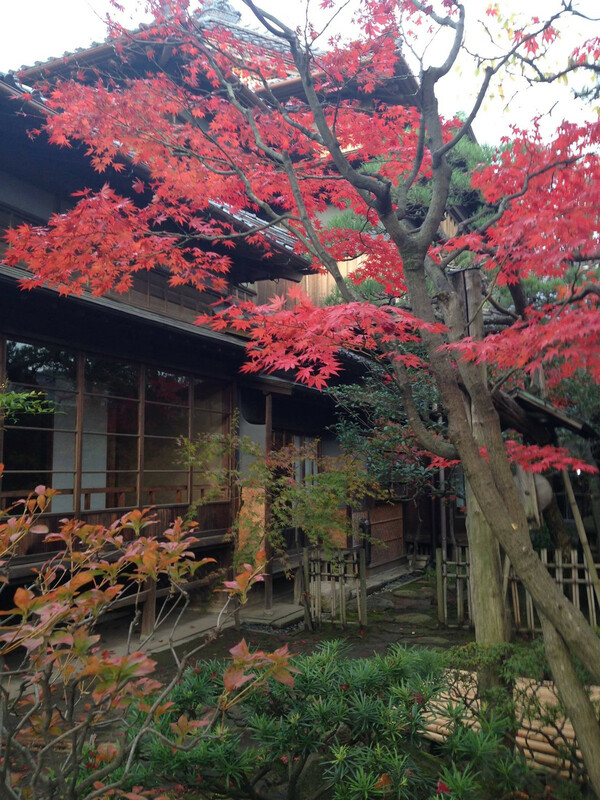 The Saito Faimily Summer Villa in Niigata City. 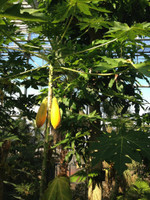 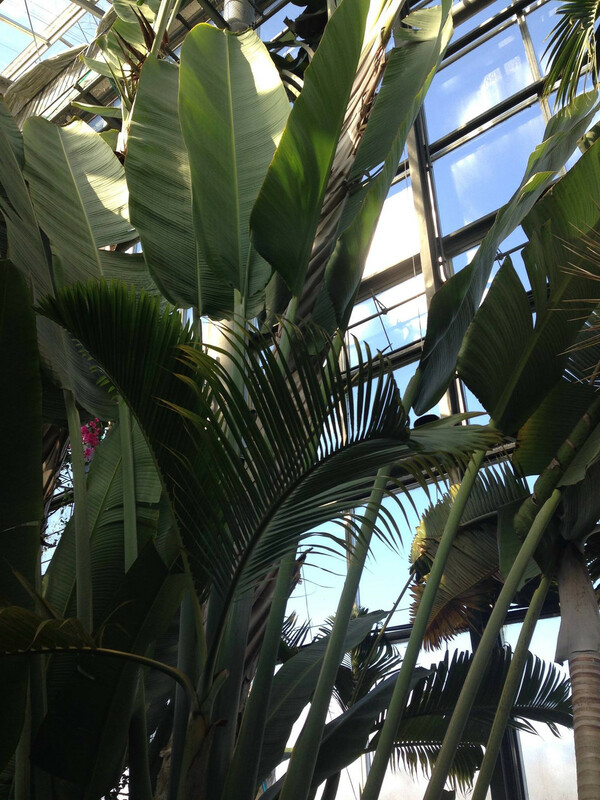 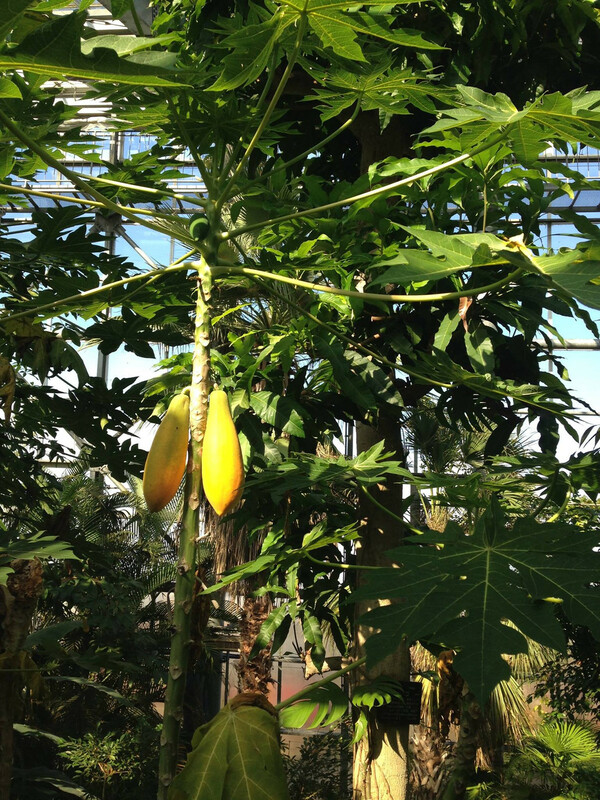 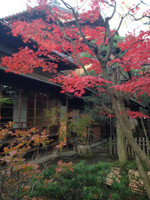 I was deeply impressed by the way the building and the garden are in great harmony with each other. 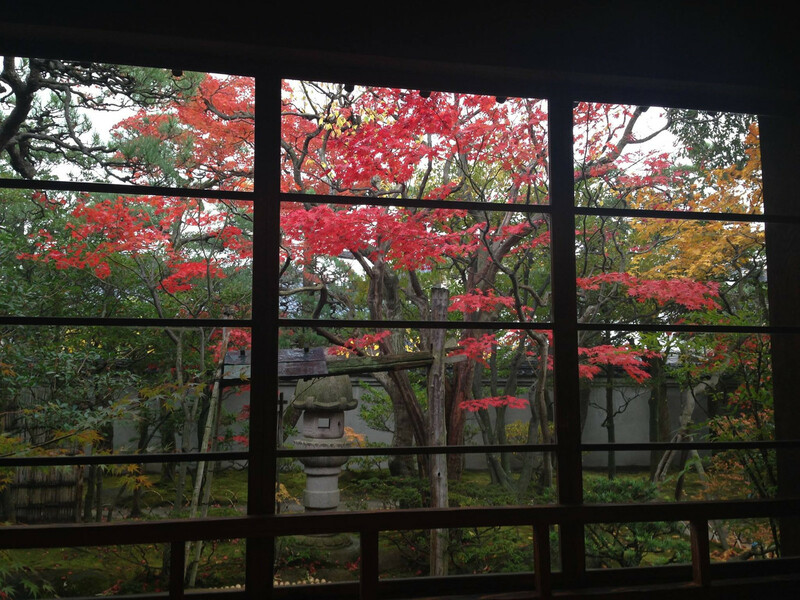 They are elaborately designed so that different rooms of the villa show different views. 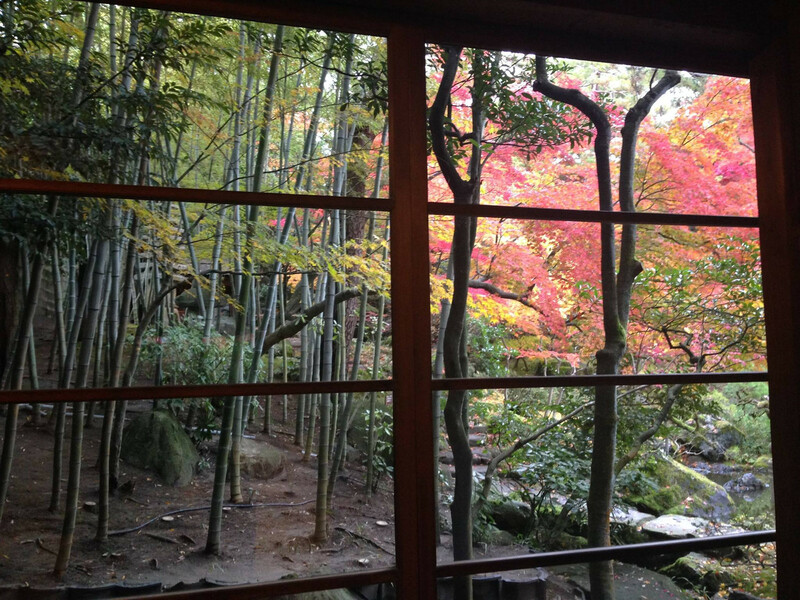 The garden seen through a bit-distorted old glass-window has its own beauty. 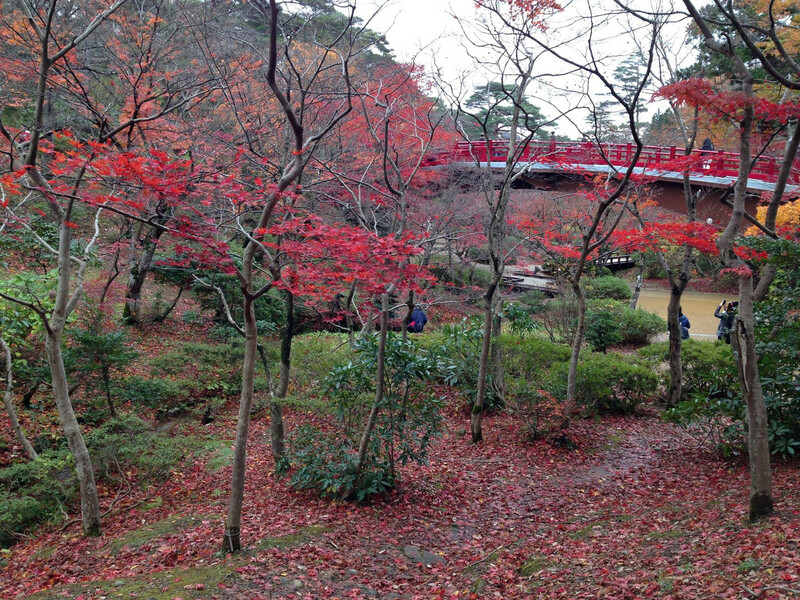 The scenery from the second floor is different from the one from the first floor. 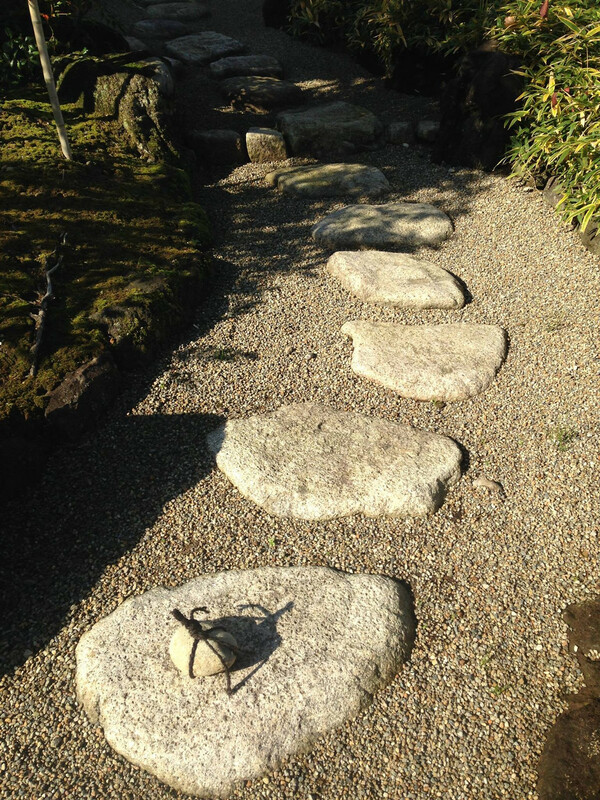 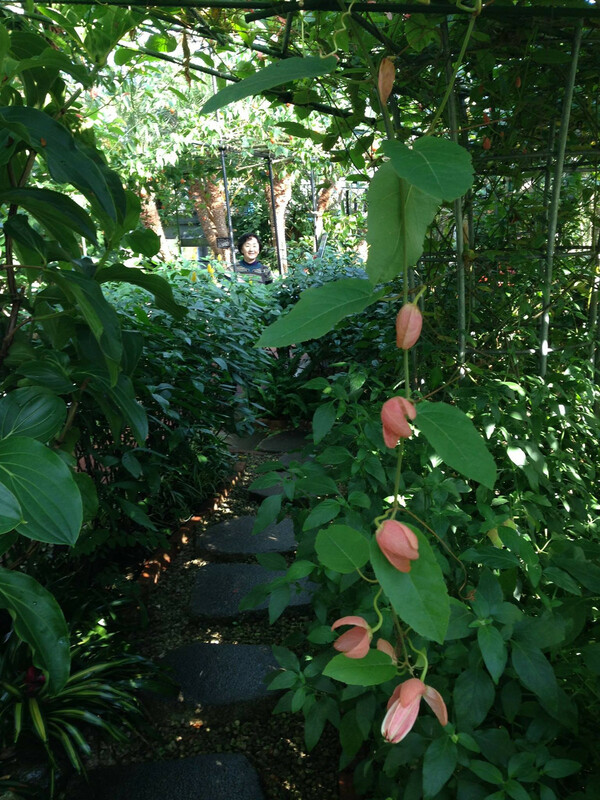 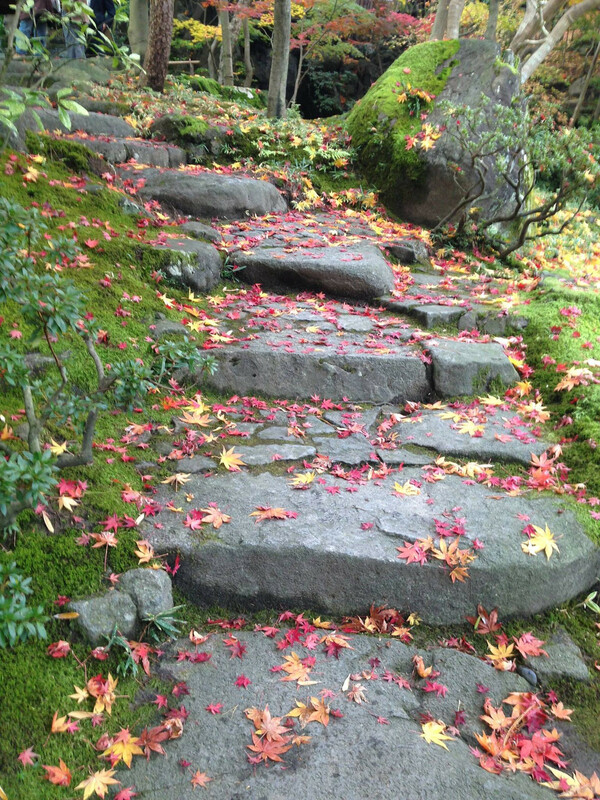 Walking in the garden, I felt as if I had stepped into the world of beautiful picture scroll. 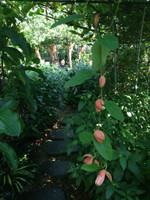 The rain which continued for a several days let up at last. 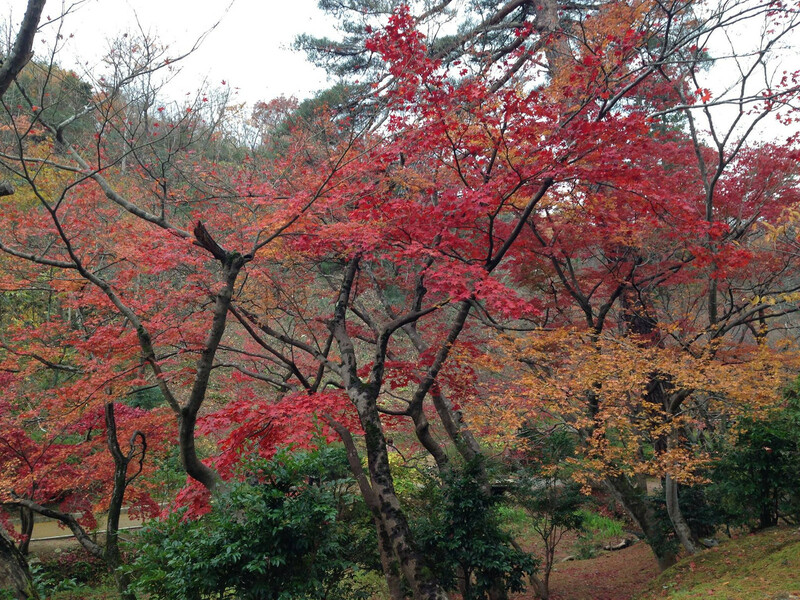 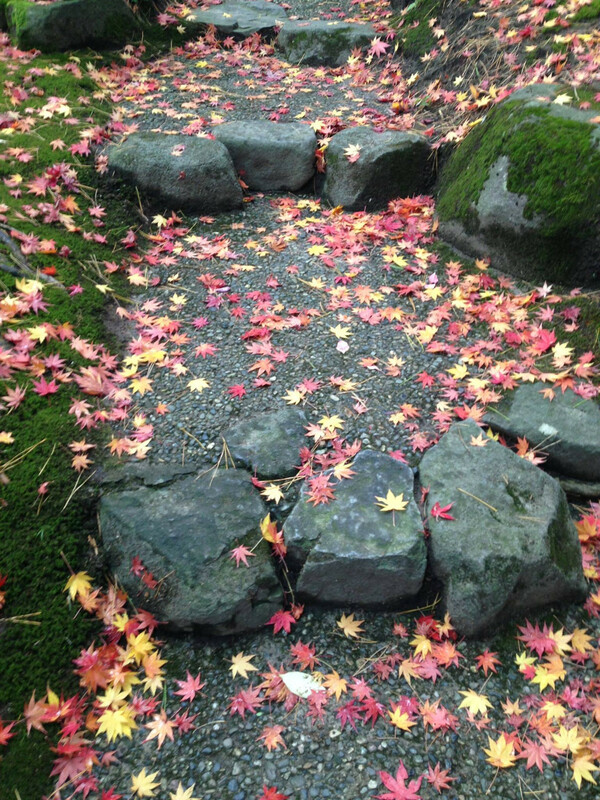 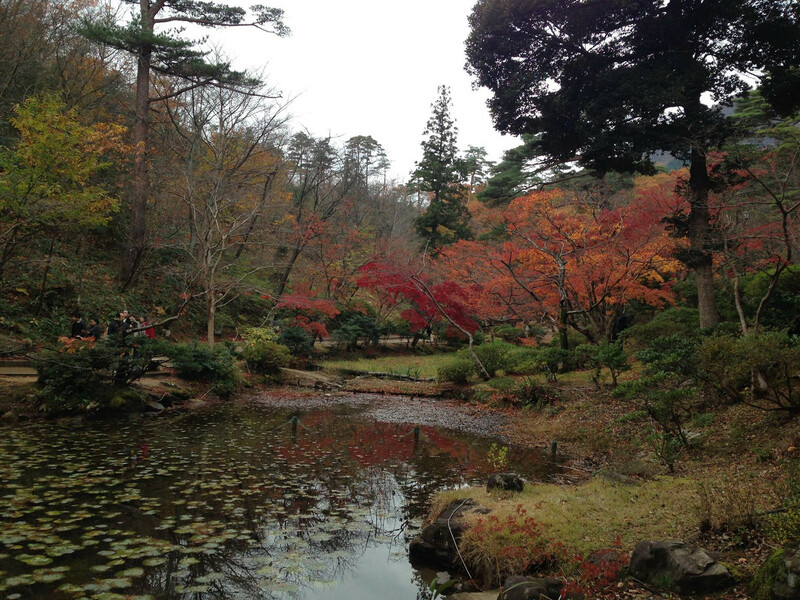 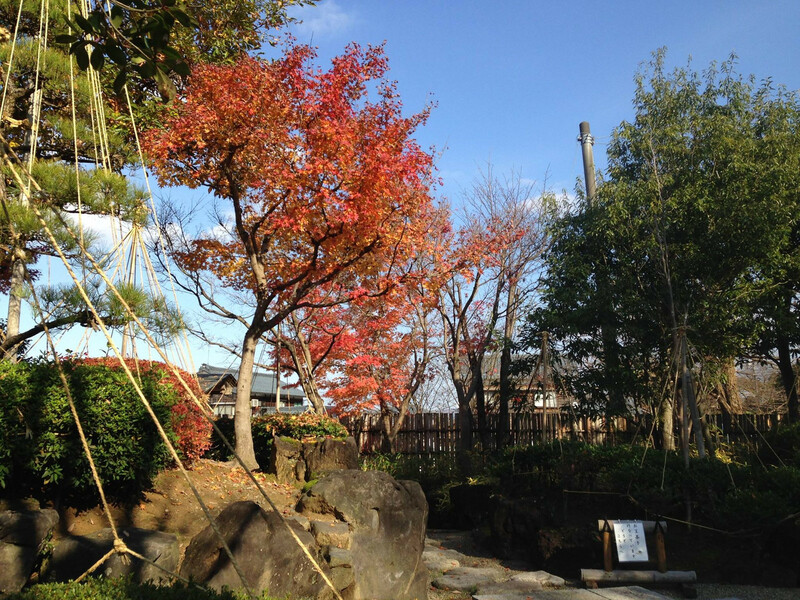 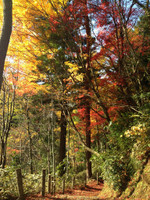 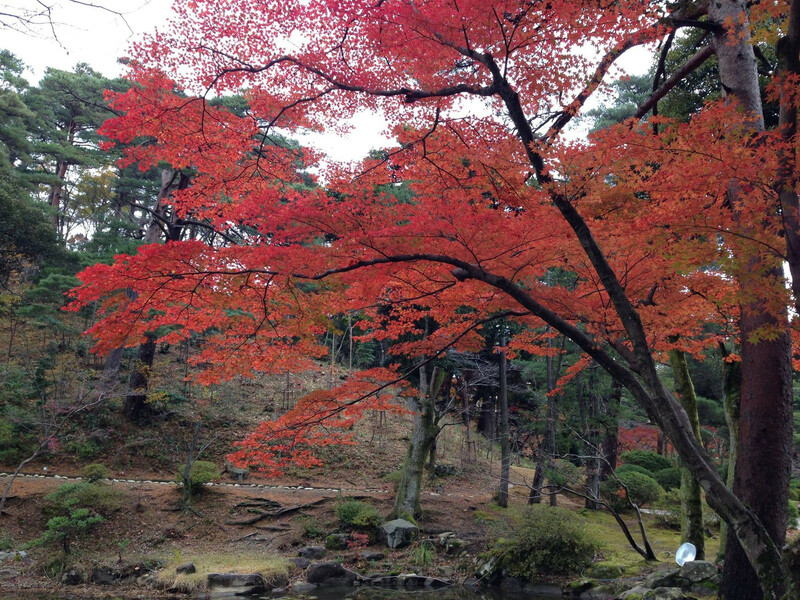 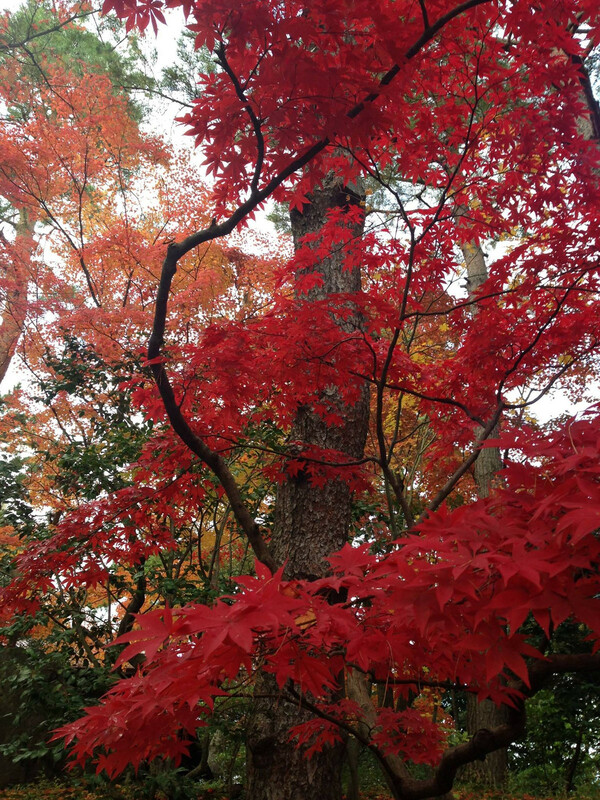 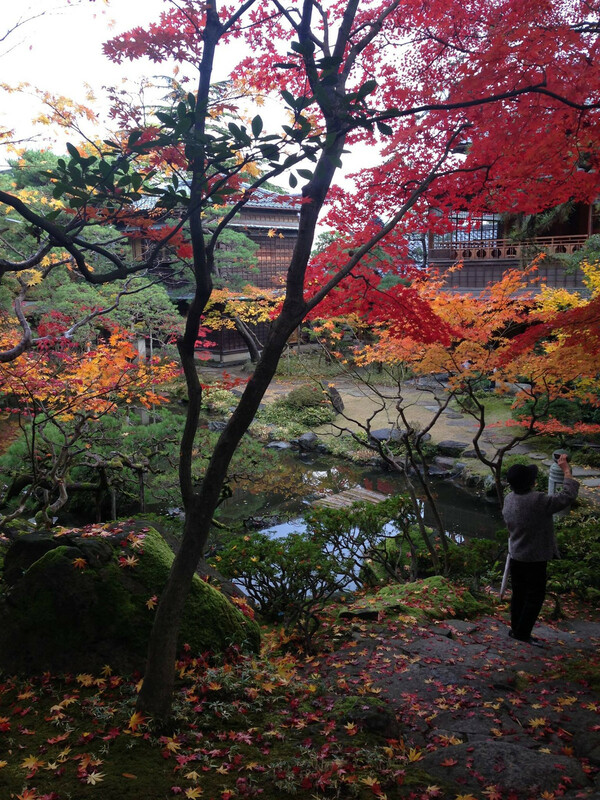 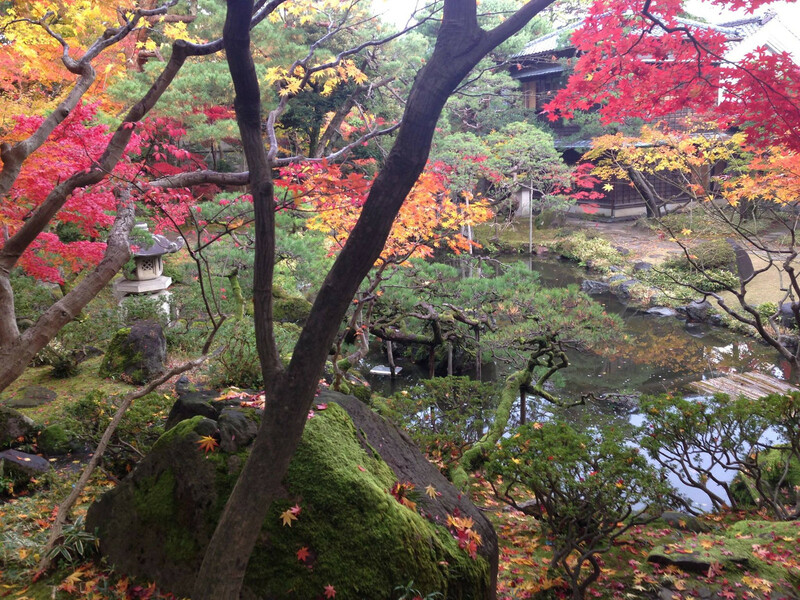 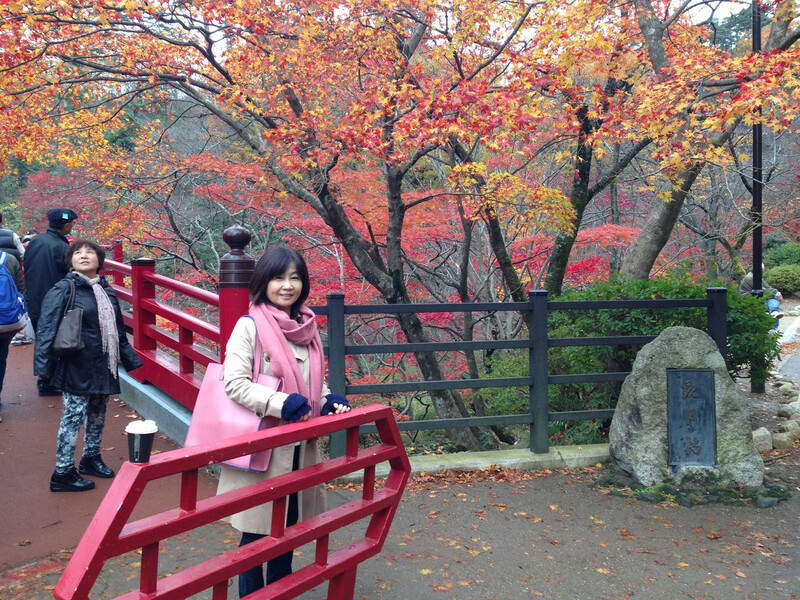 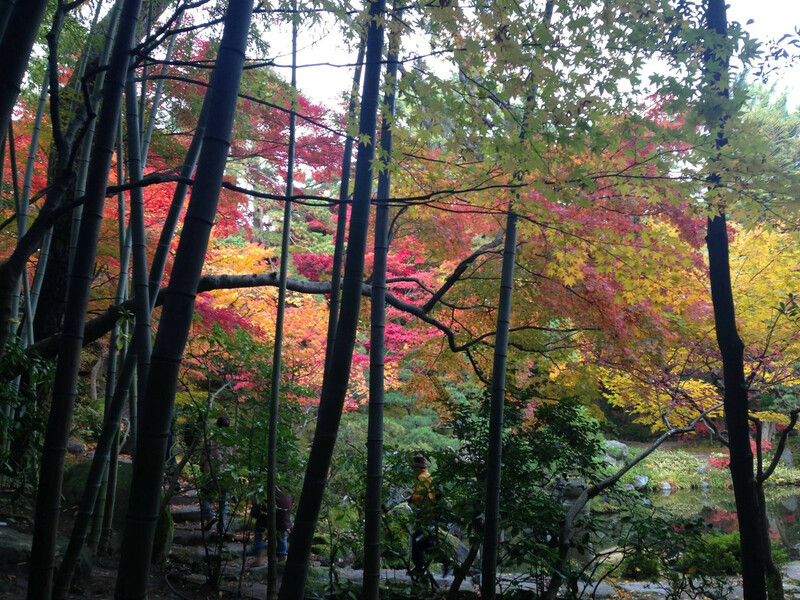 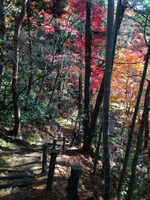 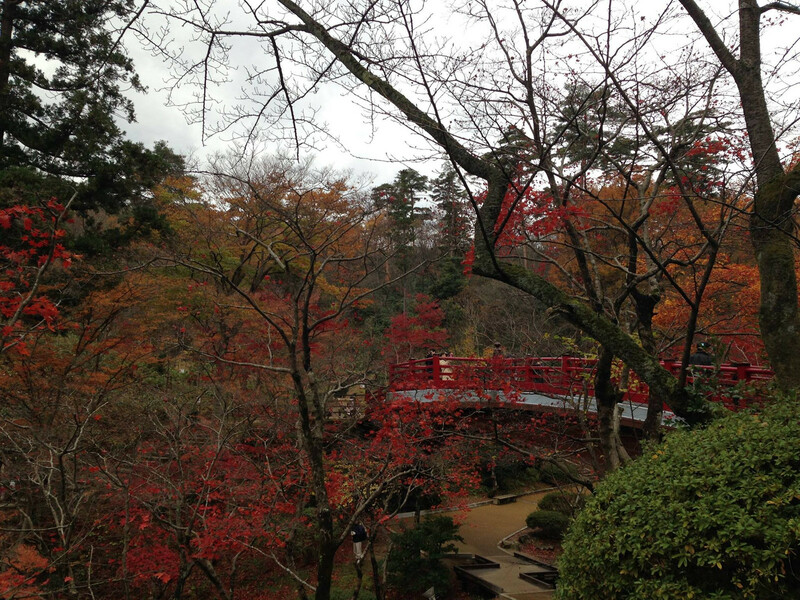 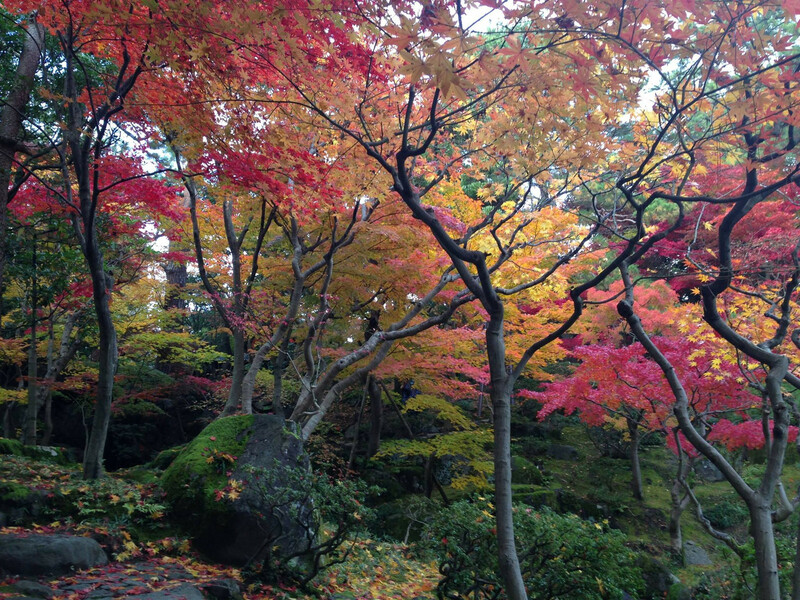 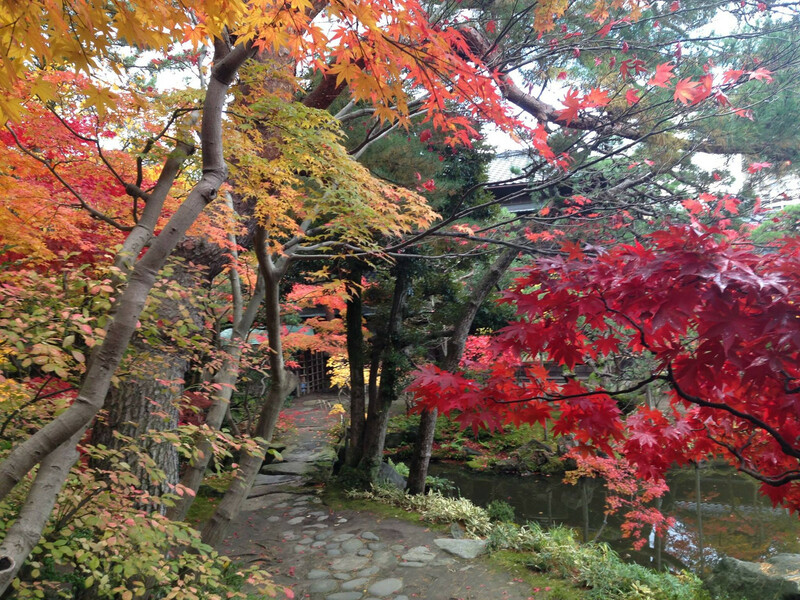 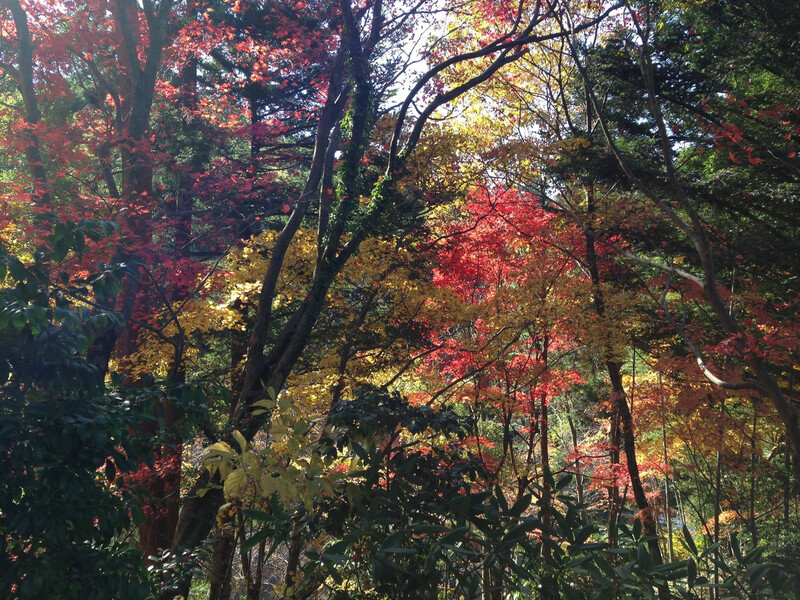 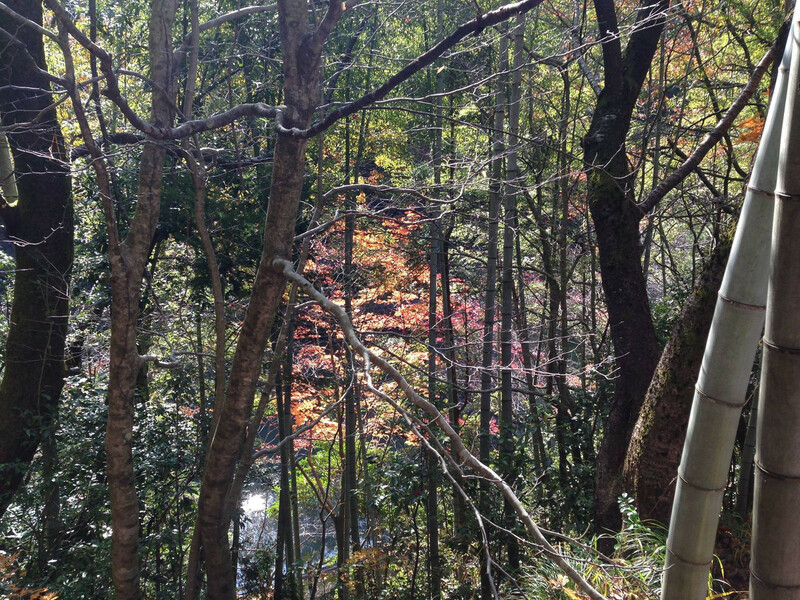 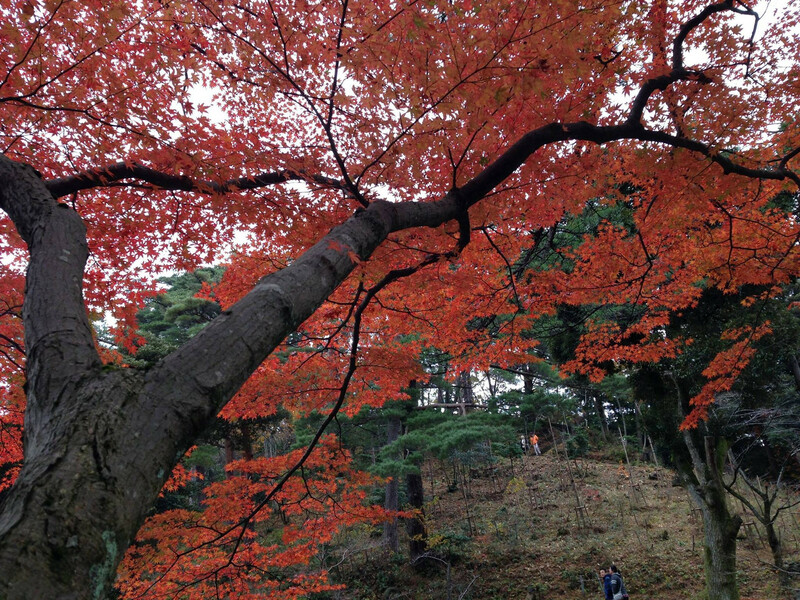 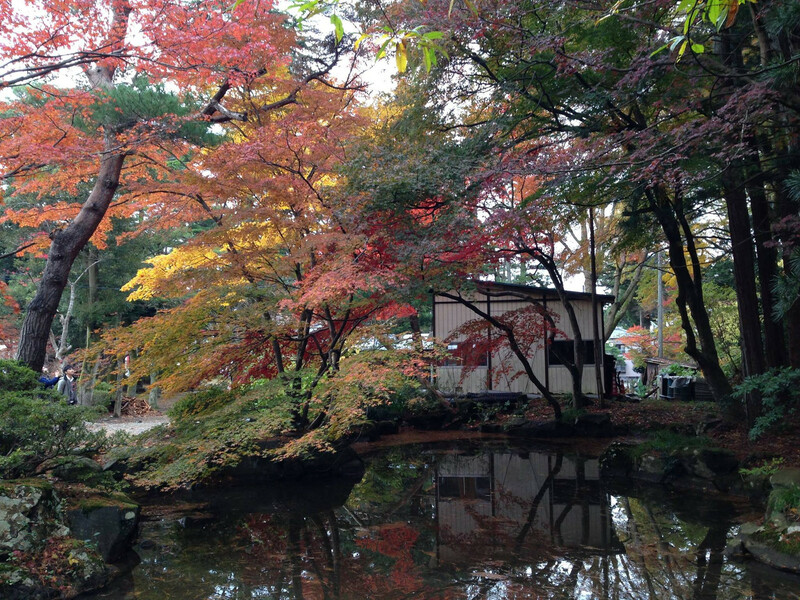 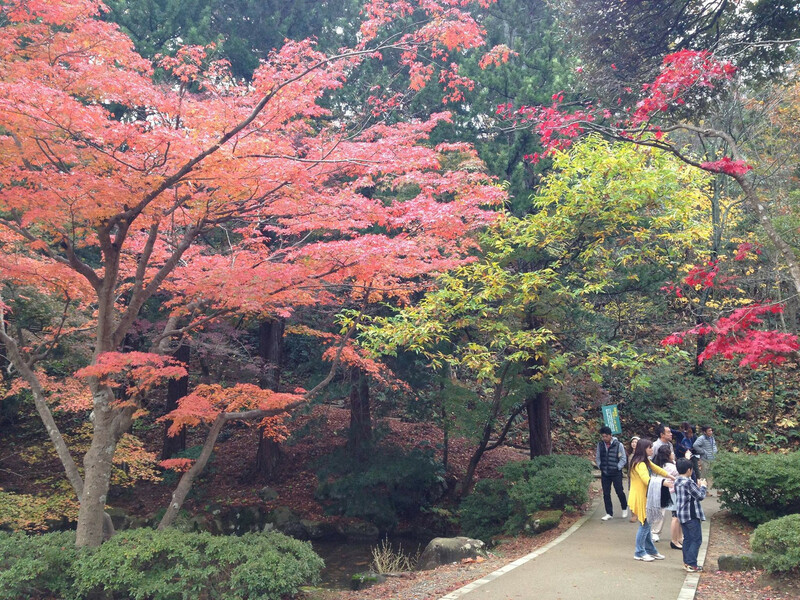 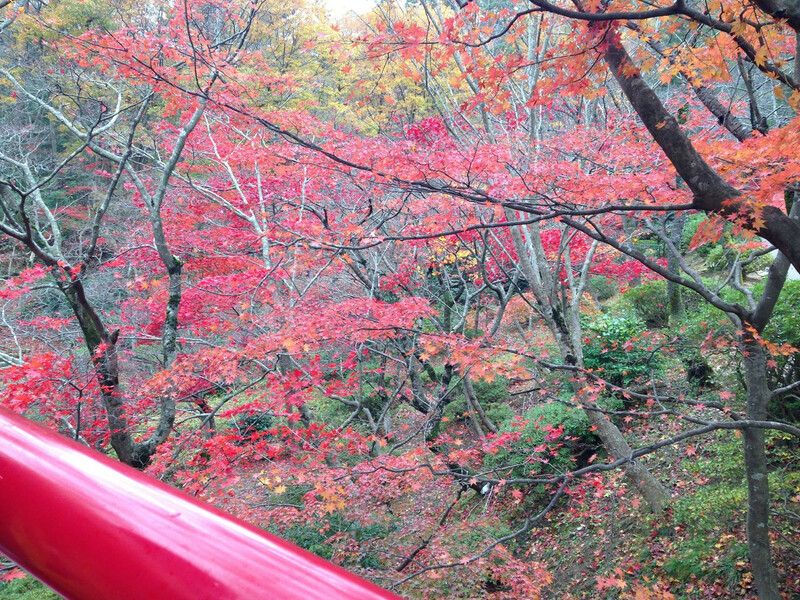 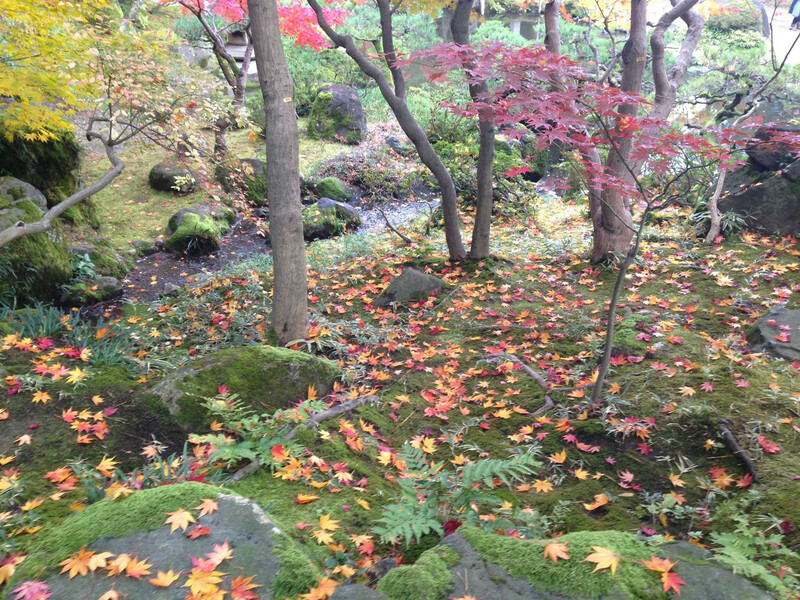 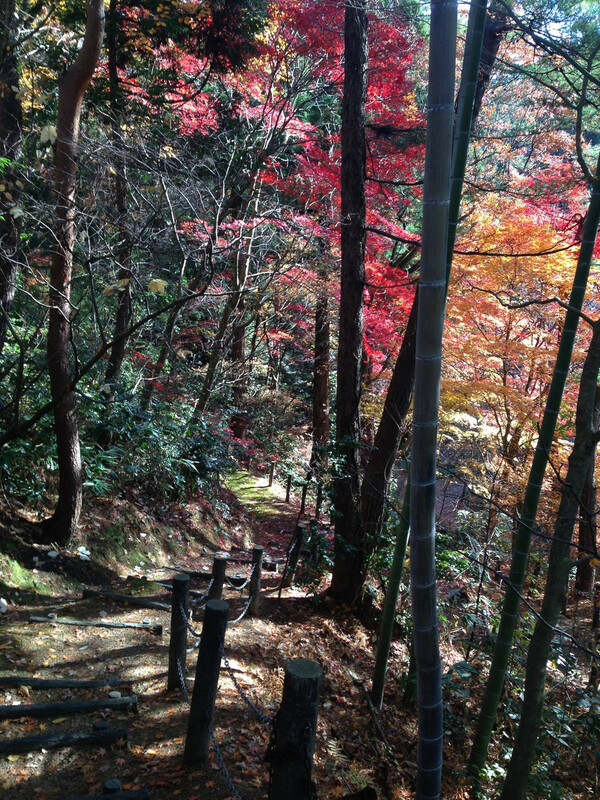 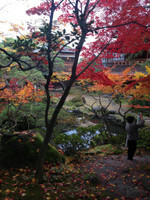 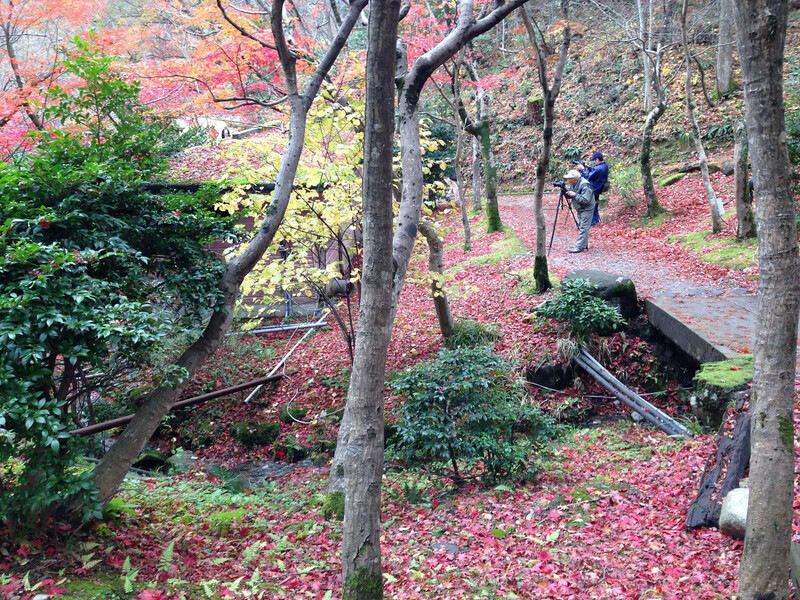 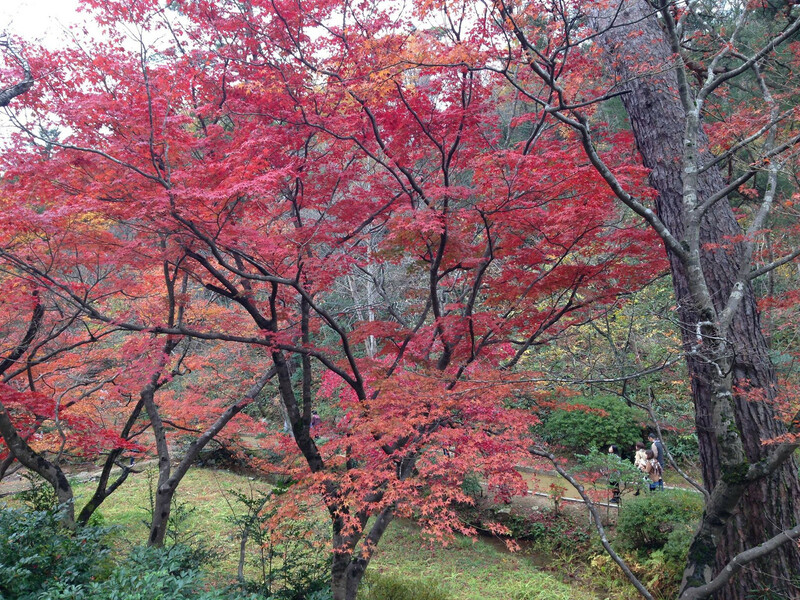 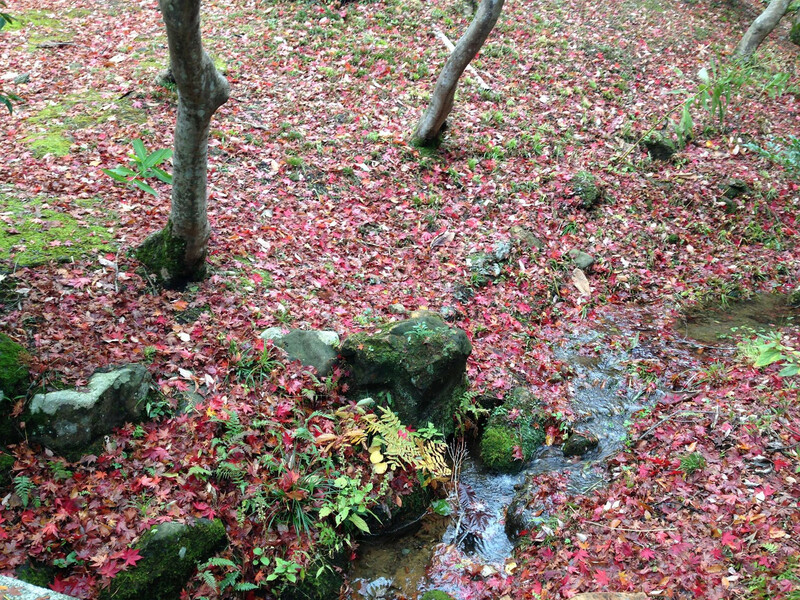 The leaves in Yahiko Park started to fall, but were still so beautiful. 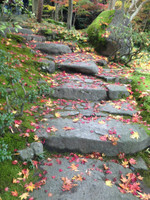 The ground and steps covered by the carpet of red and yellow leaves looked amazing! 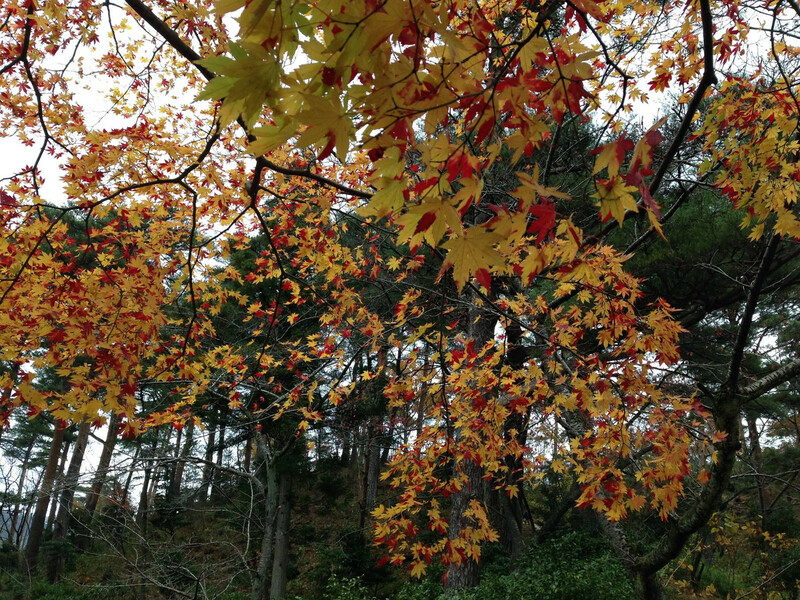 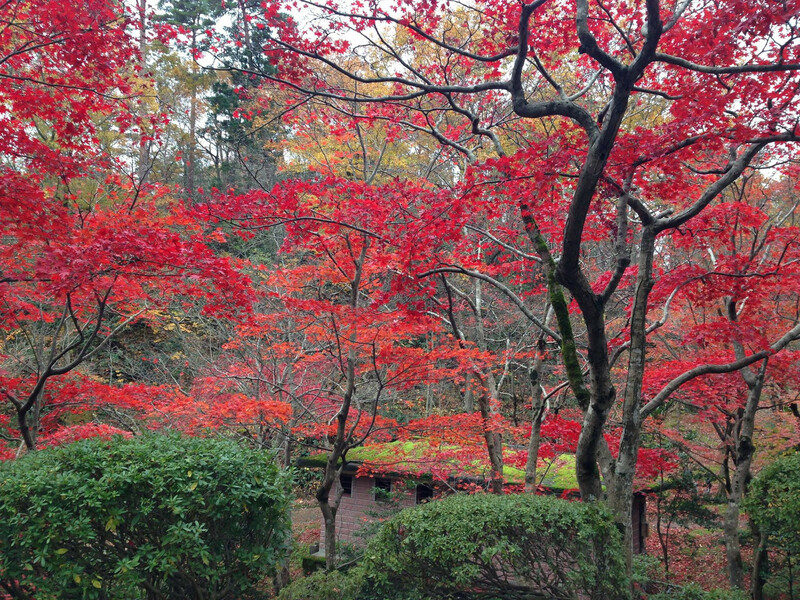 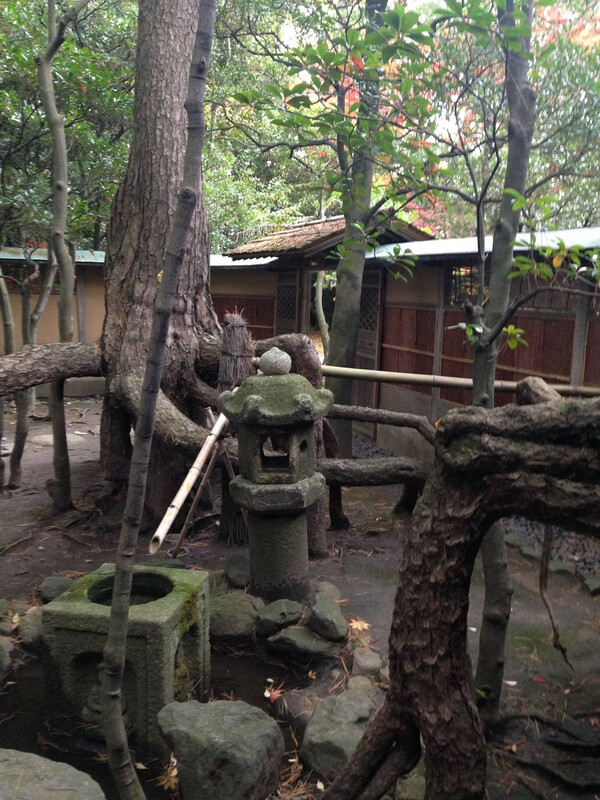 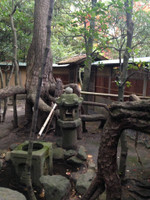 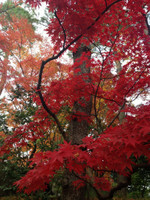 There seem to be many different kinds of maple trees in Yahiko. 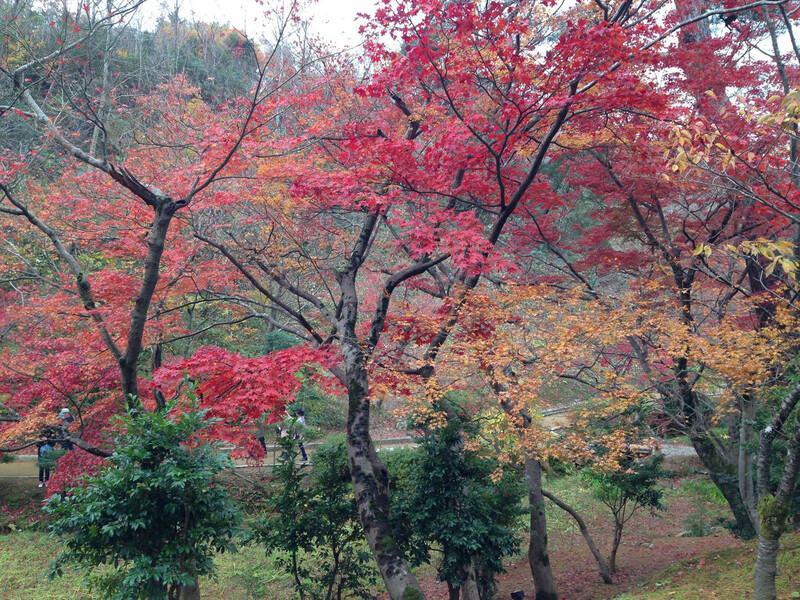 One of them have two-color. 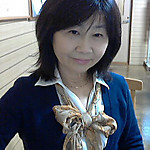 I like this.